It’s almost two weeks since the “end” of our project, and we’re still digesting the past twelve months. 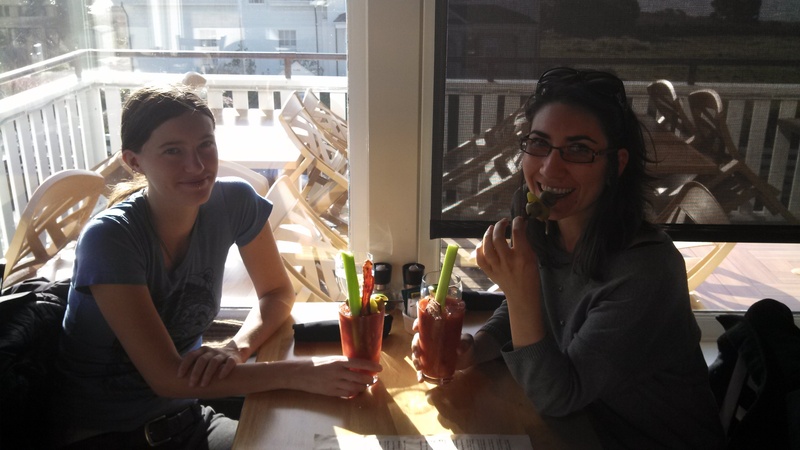 Gowan and I met for bacon bloody marys yesterday morning at Flow in Mendocino and it was the first time we’ve seen each other this year. We compared postpartum assimilation stories from the last two weeks (such as me throwing a piece of romaine lettuce on my plate rudely at a restaurant, her crying over a plate of potatoes, eggs, biscuits and gravy and bewildering her waitress by sending it back uneaten). What we never expected is that in a way it’s harder to not eat local for us now. Many people expected that we would rush to the grocery store and essentially reset our diets with everything that we’ve been “deprived” of for the past year. Instead, the transition is slow, awkward, and full of surprises. It’s taken me awhile to remember that certain things exist, and most trips to the store have involved a single purchase. One day I remembered cinnamon, another day sparkling water, and today it was vanilla. I didn’t even buy chocolate until Day 11. The new dietary freedom certainly relaxes my routine, but instead of feeling liberated I feel a little lost. Food became the pendulum for my life, and the daily rhythm was comforting in its simplicity. This re-integration process has made me realize that I am a changed woman, and in a way there is no end. The greatest comfort right now is knowing that other people have also been affected by our endeavor. I just wanted to write and tell you both thank you for your blog this past year and the sharing of your journey. I came to Mendocino last February to work on a film and stayed for 2 months…during that time, I came across your story in a local paper and immediately was fascinated and started to follow your blog. I have loved every one of them and feel so fortunate to have found y’all and your stories. I have longed for a stronger connection to food, farming and the earth and also community…reading your story helped me make that connection and to also think more about where I want my food to come from… and to take action on that. You both have inspired me, touched me and helped me realize more about what is important to me in life…and so I want to thank you. I wish you the best of luck in your future endeavors and if I get back up to Mendocino anytime soon…would love to see what projects y’all have going on! Sending you peace, health, prosperity and love in 2014 and beyond! I believe in your adventure and I think this is great. Me and my boyfriend plan to visit the Mendocino Area next month for a few days. We are very interested into eating local, truly. We are french and we consider eating local as a way to discover Mendocino as tourists. Would you have some adresses to share with us? Restaurants, coffees, bars or grocery store lists so we are not completely clueless when we arrive? Notes like these make my day. To know people have been watching, listening and connecting to our project makes feel way less alone. Because Eat Mendocino is really a beginning, for all of us. Thank you to those of you who have shared your stories with us, it means a lot. To everyone else: we’d love to hear how you are changed, seriously. Email us (eatmendocino[at]gmail.com), post on our Facebook page, or respond to this post. This is not the end of the story. Because this truly is just a beginning and there is so much more to tell, we agreed yesterday morning to write a book. For real. We will be launching a fundraising campaign tomorrow so that you can help make this happen. Thanks for reading, eating, and changing with us this year. 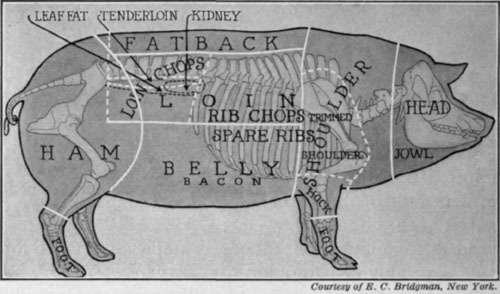 Categories: Fertilizer, Musings | Tags: bacon bloody mary, big news, fan mail, mendocino | Permalink. On January 1, 2013, two women embarked on a year of eating local food that is farmed and foraged in Mendocino County, California. Our goal is to live off the land and the sea, and love it. It is also our goal to inspire a new agricultural future, celebrate abundance and build as much topsoil as possible. You can follow our journey here! Subscribe to follow our adventures! The Gratitude Tree: Thanks for the love! Eat Mendocino launches Kickstarter campaign to help us write a book! Support us (feed the piggy)! Mendocino Local Food Guide Guide to local farms, local food efforts and gardening tips. Mendocino Organics An organic farm in the heart of Mendocino County, growing organic produce & grain and raising pastured lamb, pork, and beef.